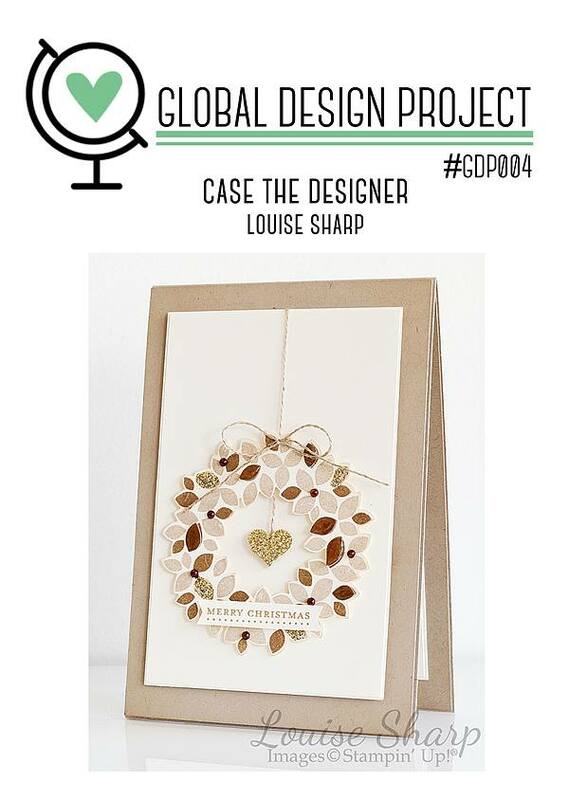 Yesterday, I decided to play along with The Global Design Project Challenge #GDP004 which is to case the designer challenge and the designer is the incredibly talented Louise Sharp. Seeing how I’m using Kraft Cardstock on this weeks projects, here’s what I came up with. 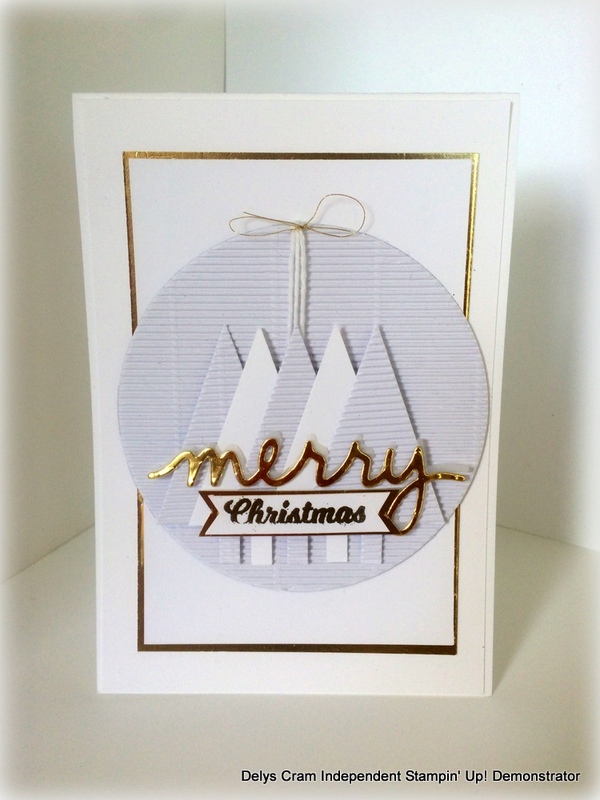 I was inspired by the circle, Christmas theme, layout and the linen thread. If you’ve been following my blog this week, I couldn’t just stop there, so I made a white version. and Id like to enter all three samples into the challenge this week! Kraft-Kraft CS, Kraft Corrugated paper, Tree punch, gold foil, Wonderland specialty vellum (second ‘merry’), ‘To you and yours” stamp set, Christmas Greetings thinlits, Linen thread, Gold thread, Cucumber Crush dauber and ink, gold embossing powder, gold thread. White- Whisper white thick CS, White Corrugated paper, tree punch, gold foil, Wonderland specialty vellum (second ‘merry’), ‘To you and yours” stamp set, Christmas Greetings thinlits, White bakers twine, gold embossing powder, gold thread. 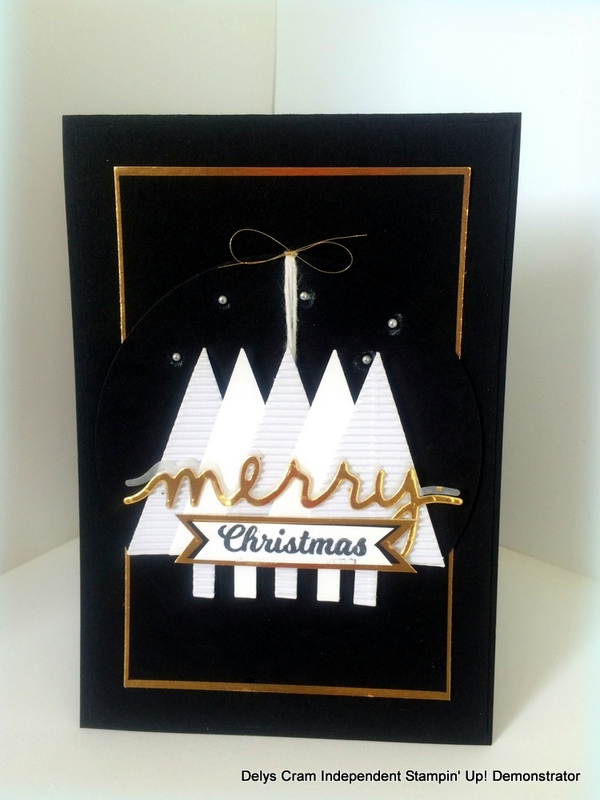 Black- Black CS, Whisper White thick CS, White corrugated paper, tree punch, gold foil, Wonderland specialty vellum, ‘To you and yours” stamp set, Christmas Greetings thinlits, White bakers twine, gold thread, Memento Black, pearls and white chalk marker. Thanks for looking and happy Krafting (wink) this week! A-MAZ-ING! I love all three cards, Delys! 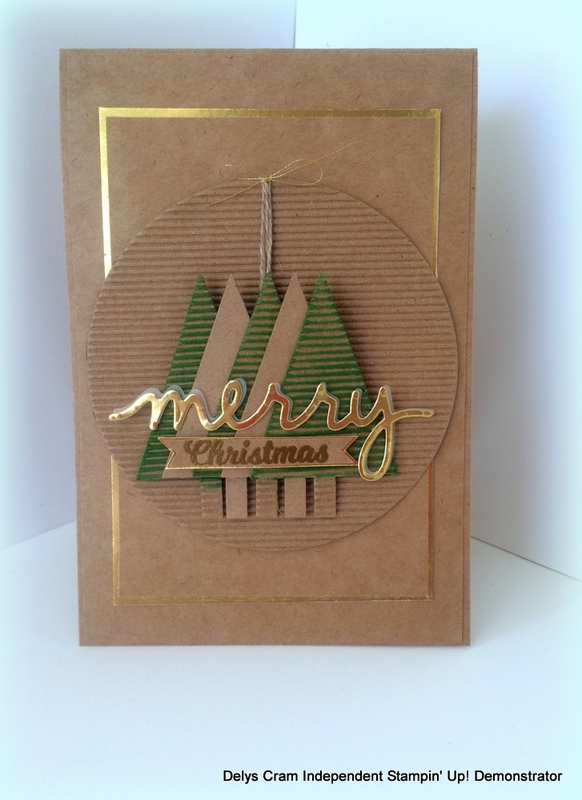 Great use of the corrugated cardstock and I love the touches of gold. Thanks for joining us this week over at Global Design Project. WOW! Totally love these Delys! The white is my favourite I think but it’s hard to go past kraft for any project! Thanks so much for playing along again this week. Ooooh! I love all of these projects! What a wonderful collection of beauties. I love the beautiful texture and dimension you’ve created with the corrugated paper! Thank you so much for playing along with this week’s Global Design Project “case the designer” challenge! I do love you style Delys, I love everything you make!! Thanks Michelle! The feeling is mutual!